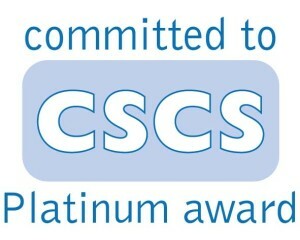 The CSCS Platinum Award is achieved by 90% of your workforce having a valid CSCS Card. We have achieved this accreditation to show our commitment to delivering a highly trained and qualified workforce. Our certificate of accreditation can be found by clicking the links below. Both Constructionline, FORS and CHAS have been achieved to show our commitment to our Health, Safety & Quality Management Systems. Our certificates of accreditation can be found by clicking the links below.